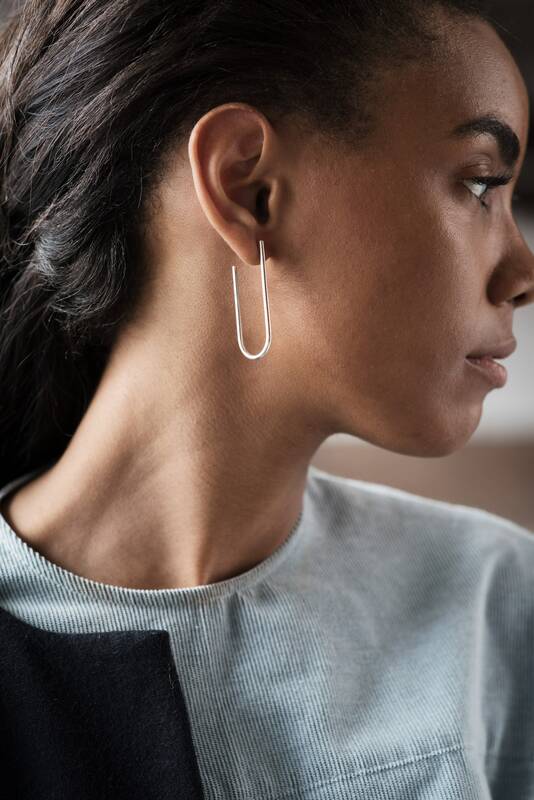 Contemporary, handmade sterling silver hoops with a stud closure. 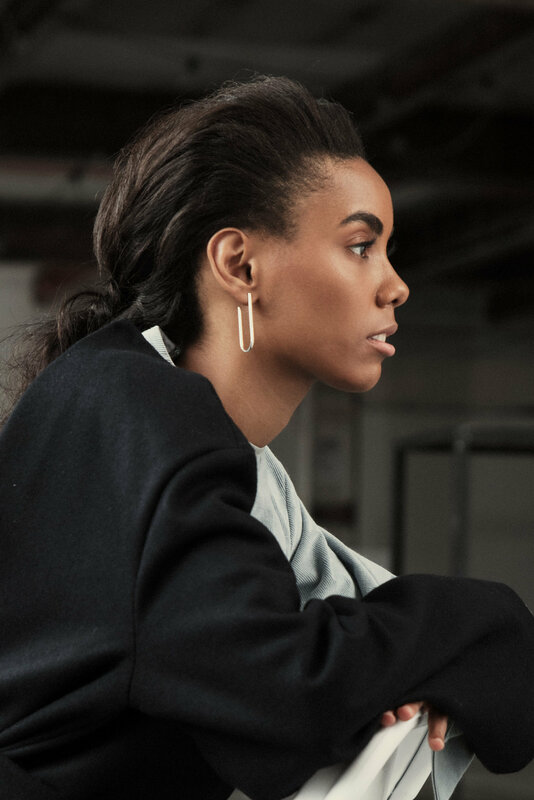 These unique take on a classic are perfect for everyday wear and really are a jewellery staple. 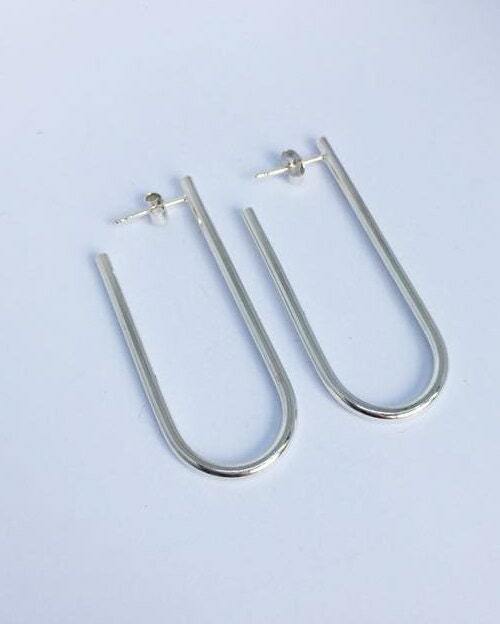 Made from 2mm thick sterling silver wire with a drop of approximately 5cm.